"Liaqat Ali" redirects here. For other uses, see Liaqat Ali (disambiguation). Nawabzada Liaquat Ali Khan (Næʍābzādāh Liāqat Alī Khān listen (help·info),Urdu: لِیاقت علی خان‎ ; 1 October 1895 – 16 October 1951), widely known as Quaid-e-Millat (Leader of the Nation) and Shaheed-e-Millat (Urdu: شہِیدِ مِلّت‎ Martyr of the Nation), was one of the leading founding fathers of Pakistan, statesman, lawyer, and political theorist who became and served as the first Prime Minister of Pakistan; in addition, he also held cabinet portfolio as the first foreign, defence, and the frontier regions minister from 1947 until his assassination in 1951. Prior to his assassination, Khan briefly tenured as the first finance minister in the interim government led by its Governor General Mountbatten. He was born into an influential aristocratic Muslim family in Karnal, Eastern Punjab on 1 October 1895. Liaquat Ali Khan was educated at the Aligarh Muslim University in India, and then at Oxford University in the United Kingdom. Well-educated, he was a democratic political theorist who promoted parliamentarism in India. After first being invited by the Congress Party, he opted for the Muslim League led by influential Mohammad Ali Jinnah who was advocating the eradication of the injustices and ill-treatment meted out to Indian Muslims by the British government. He pursued his role in the independence movements of India and Pakistan, while serving as the first Finance Minister in the interim government of British Indian Empire, prior to the independence and partition of India and Pakistan in 1947. Ali Khan assisted Jinnah in campaigning for the creation of a separate state for Indian Muslims. Ali Khan's credentials secured him the appointment of Pakistan's first Prime Minister, Ali Khan's foreign policy sided with the United States and the West, though his foreign policy was determined to be a part of the Non Aligned Movement. Facing internal political unrest, his government survived a coup hatched by the leftists and communists. Nonetheless, his influence grew further after Jinnah's death, and he was responsible for promulgating the Objectives Resolution. In 1951, at a political rally in Rawalpindi, Ali Khan was assassinated by a hired assassin, Said Babrak. Liaquat Ali Khan was into an aristocrat Jat Muslim family in Karnal, Punjab Province, British India, which is now in the Indian state of Haryana, on 1 October 1895. The origin of his family is described as Punjabi, however his family had adopted the Urdu language, and he was a native Urdu speaker. His family belonged to the prominent Muslim Mandhan Jat tribe (sometimes pronounced Marhal). One of their origin stories claims descent from a descendant of the ancient Iranian King Naushirwan whose descendant settled in Samana (Punjab), and thus sometimes referred to themselves as Mandal Nausherwani. His father, Nawab Rustam Ali Khan, possessed the titles of Rukun-al-Daulah, Shamsher Jang and Nawab Bahadur, by the local population and the British Government who had wide respect for his family. The Ali Khan family was one of the few landlords whose property (300 villages in total including the jagir of 60 villages in Karnal) expanded across both eastern Punjab and Muzaffarnagar the United Provinces. Both of his parents, Nawab Rustam Ali Khan and Mahmoodah Begum are buried at their princely family compound located outside Karnal, Haryana, India. Liaquat Ali Khan's former personal residence is located at Jansath Tehsil of Muzaffarnagar, Uttar Pradesh about 80 km from his ancestral estate and is now being considered by the Uttar Pradesh government to be opened as a tourist destination. The family owed its pre-eminence to timely support given by Liaqat's grandfather Nawab Ahmed Ali Khan of Karnal to British army during 1857 rebellion (source-Lepel Griffin's Punjab Chiefs Volume One). Liaquat Ali Khan's mother, Mahmoodah Begum, arranged for his lessons in the Qur'an and Ahadith at home before his formal schooling started. His family had strong ties with the British Government. His family had deep respect for the Indian Muslim thinker and philosopher Syed Ahmad Khan, and his father had a desire for the young Liaqat Ali Khan to be educated in the British educational system; therefore, his family sent Ali Khan to the famous Aligarh Muslim University (AMU), where he obtained degrees in law and political science. In 1913, Ali Khan attended the Muhammadan Anglo-Oriental College (now Aligarh Muslim University), graduating with a BSc degree in Political science and LLB in 1918, and married his cousin, Jehangira Begum, also in 1918. After the death of his father in 1919, Ali Khan, with British Government awarding the grants and scholarship, went to England, attending Oxford University's Exeter College to pursue his higher education. In 1921, Ali Khan was awarded the Master of Law in Law and Justice, by the college faculty who also conferred on him a Bronze Medallion. While a graduate student at Oxford, Ali Khan actively participated in student unions and was elected Honorary Treasurer of the Majlis Society— a student union founded by Indian Muslim students to promote the Indian students' rights at the university. Thereafter, Ali Khan was called to join the Inner Temple, one of the Inns of Court in London. He was called to the Bar in 1922 by one of his English law professor, and starting his practices in law as an advocate. Ali Khan returned to his homeland India in 1923, entering in national politics, determining to eradicate to what he saw as the injustice and ill-treatment of Indian Muslims under the British Indian Government and the British Government. His political philosophy strongly emphasised a united India, first gradually believing in the Indian nationalism. The Congress leadership approached to Ali Khan to become a part of the party, but after attending the meeting with Jawaharlal Nehru, Ali Khan's political views and ambitions gradually changed. Therefore, Ali Khan refused, informing the Congress Party about his decision, and instead joining the Muslim League in 1923, led under another lawyer Muhammad Ali Jinnah. Soon Jinnah called for an annual session meeting in May 1924, in Lahore, where the goals, boundaries, party programmes, vision, and revival of the League, was an initial party agenda and, was carefully discussed at the Lahore caucus. At this meeting, Khan was among those who attended this conference, and recommending the new goals for the party. Ali Khan initially campaigned in the 1926 elections from the rural Muslim constituency of Muzzaffarnagar for the provisional legislative council. Ali Khan won the elections unanimously and with heavy margin, whilst there were no opponents that campaign against him. After taking the oath, Ali Khan embarked his parliamentary career, representing the United Provinces at the Legislative Council in 1926. In 1932, he was unanimously elected Deputy President of UP Legislative Council. In his parliamentary career, Ali Khan established his reputation as "eloquent principled and honest spokesman" who would never compromised on his principles even in the face of severe odds. Ali Khan, on several occasions, used his influence and good offices for the liquidation of communal tension and bitterness. Ali Khan rose to become one of the influential members of the Muslim League, and was one of the central figure in the Muslim League delegation that attended the National Convention held at Calcutta. Earlier the British Government had formed the Simon Commission to recommend the constitutional and territorial reforms to the British Government. The commission, compromising the seven British Members of Parliament, headed under its Chairman Sir John Simon, met briefly with Congress Party and Muslim League leaders. The commission had introduced the system of dyarchy to govern the provinces of British India, but these revision met with harsh critic and clamoured by the Indian public. Motilal Nehru presented his Nehru Report to counter British charges. In 1928, Ali Khan and Jinnah decided to discuss the Nehru Report in December 1928. In 1930, Ali Khan and Jinnah attended the First Round Table Conference, but it ended in disaster, leading Jinnah to depart from British India to Great Britain. During this meantime, Ali Khan's second marriage took place in December 1932. His wife, Begum Ra'ana, was a prominent economist and an educator. She, too, was an influential figure in the Pakistan movement. Soon, Ali Khan and his wife departed to England, but did not terminate his connections with the Muslim League. With Ali Khan departing, the Muslim League's parliamentary wing disintegrated, with many Muslim members joining the either Democratic Party, originally organized by Ali Khan in 1930, and the Congress Party. At the deputation in England, Ali Khan made close study of organizing the political parties, and would soon return to his country with Jinnah. Liquat Ali Khan (second left, first row) and wife, Sheila Irene Pant (far right, first row), meeting with the Nawab of Amb in 1948. In 1945–46, mass elections were held in India and Khan won the Central Legislature election from the Meerut Constituency in the United Provinces. He was also elected Chairman of the League's Central Parliamentary Board. The Muslim League won 87% of seats reserved for Muslims of British India. He assisted Jinnah in his negotiations with the members of the Cabinet Mission and the leaders of the Congress during the final phases of the Freedom Movement and it was decided that an interim government would be formed consisting of members of the Congress, the Muslim League and minority leaders. When the Government asked the Muslim League to send five nominees for representation in the interim government, Khan was asked to lead the League group in the cabinet. He was given the portfolio of finance. The other four men nominated by the League were Ibrahim Ismail Chundrigar, Ghazanfar Ali Khan, Abdur Rab Nishtar, and Jogendra Nath Mandal. By this point, the British government and the Indian National Congress had both accepted the idea of Pakistan and therefore on 14 August 1947, Pakistan came into existence. After independence, Khan was appointed as the first Prime Minister of Pakistan by the founding fathers of Pakistan. Justice Abdur Rasheed and took oath from liaqat ali khan. The country was born during the initial beginning of the extensive competition between the two world superpowers, the United States and Soviet Union. Khan faced with mounted challenges and difficulties while trying to administer the country. Khan and the Muslim League faced dual competitions with socialists in West-Pakistan and, the communists in East Pakistan. The Muslim League found it difficult to compete with socialists in West Pakistan, and lost considerable support in favor of socialists led by Marxist leader Faiz Ahmad Faiz. In East Pakistan, the Muslim League's political base was eliminated by the Pakistan Communist Party after a staging of a mass protest. On the internal front, Khan, faced with socialist nationalist challenges and different religious ideologies saw the country fall into more unrest. Problems with Soviet Union and Soviet bloc further escalated after Khan failed to make a visit to Soviet Union, despite his intentions. Khan envisioned a non-aligned foreign policy, however despite some initiatives, the country became more dependent on the United States and this ultimately influenced Khan's policy towards the communist bloc. His government faced serious challenges including the dispute over Kashmir with India, forcing Khan to approach his counterpart the Prime minister of India Jawaharlal Nehru. A settlement was reached to end the fighting, while Nehru also referred the issue to the United Nations. Generally an anti-communist, Ali Khan send the recommendation to Jinnah to appoint Abdul Rashid as country's first Chief Justice, and Justice Abdur Rahim as President of Constitutional Assembly, both of them were also founding fathers of Pakistan. Some of the earliest reforms Khan took were to centralize the Muslim League, and he planned and prepared the Muslim League to become the leading authority of Pakistan. Prime minister Ali Khan meeting with President and faculty of the MIT. Prime minister Liaquat Ali Khan took initiatives to developed educational infrastructure, science and technology in the country, with the intention of carrying the vision of successful development of science and technology to aid the essential foreign policy of Pakistan. In 1947, with Jinnah inviting physicist Rafi Muhammad Chaudhry to Pakistan, Liaquat Ali Khan called upon chemist Salimuzzaman Siddiqui, awarding him citizenship, and appointing him as his first government science adviser in 1950. During this same time, Khan also called physicist and mathematician Raziuddin Siddiqui, asking him to plan and establish educational research institutes in the country. Khan asked Ziauddin Ahmed to draft the national educational policy, which was submitted to his office in November 1947, and a road map to establishing education in the country was quickly adopted by Khan's government. Khan's government authorized the establishment of the Sindh University. Under his government, science infrastructure was slowly built but he continued inviting Muslim scientists and engineers from India to Pakistan, believing it essential for Pakistan's future progress. During his early days in office, Khan first adopted the 1935 Act to administer the country, although his lawmakers and legislators continued to work on a different document of governance. Finally in 1949 after Jinnah's death, Prime Minister Khan intensified his vision to establish an Islamic-based system in the country, presenting the Objectives Resolution— a prelude to future constitutions, in the Constituent Assembly. The house passed it on 12 March 1949, but it was met with criticism from his Law Minister Jogendra Nath Mandal who argued against it. Severe criticism were also raised by MP Ayaz Amir On the other hand, Liquat Ali Khan described as this bill as the "Magna Carta" of Pakistan's constitutional history. Khan called it "the most important occasion in the life of this country, next in importance, only to the achievement of independence". Under his leadership, a team of legislators also drafted the first report of the Basic Principle Committee and work began on the second report. Soon after appointing a new government, Pakistan entered a war with India over Kashmir. The British commander of the Pakistan Army General Sir Frank Walter Messervy refused to attack the Indian army units. When General Douglas Gracey was appointed the commander in chief of the Pakistan Army, Liaquat Ali Khan ordered the independent units of the Pakistan Army to intervene in the conflict. On the Kashmir issue, Khan and Jinnah's policy reflected "Pakistan's alliance with U.S and United Kingdom" against "Indian imperialism" and "Soviet expansion". However, it is revealed by historians that differences and disagreement with Jinnah arose over the Kashmir issue. Jinnah's strategy to liberate Kashmir was to use military force. Thus, Jinnah's strategy was to "kill two birds with one stone", namely decapitate India by controlling Kashmir, and to find a domestic solution through foreign and military intervention. On Khan's personal accounts and views, the prime minister preferred a "harder diplomatic" and "less military stance". The prime minister sought a dialogue with his counterpart, and agreed to resolve the dispute of Kashmir in a peaceful manner through the efforts of the United Nations. According to this agreement a ceasefire was effected in Kashmir on 1 January 1949. It was decided that a free and impartial plebiscite would be held under the supervision of the UN. The prime minister's diplomatic stance was met with hostility by the Pakistan Armed Forces and the socialists and communists, notably the mid-higher level command who would later sponsored an alleged coup led by the communists and socialists against his government. In 1949, the Soviet Union's leader, Joseph Stalin, sent an invitation to Ali Khan to visit the country, followed by a U.S. invitation after they learned of the Soviet move. In May 1950, Prime minister Khan paid a state visit to the United States after being persuaded to snap ties with the Soviet Union, and set the course of Pakistan's foreign policy towards closer ties with the West, despite it being the Soviet Union who sent its invitation of Khan to visit the country first. The visit further cemented strong ties between the two countries and brought them closer. To many sources, Khan's formulated policies were focused on Movement of Non-Aligned Countries, and his trip to U.S. in 1950, Khan had made clear that Pakistan's foreign policy was neutrality. Being a newly born nation with trouble in planning the economy, Khan asked the U.S. for economic and moral support to enable it to stand in its feet. The United States gladly accepted the offer and continued its aid throughout the years. But ties deteriorated after the United States asked Khan to send two combat divisions to support U.S. military operations in the Korean War. Khan wanted to send the divisions, but asked the U.S. for assurances on Kashmir and the Pashtunisation issue, which the U.S. declined to give. Khan decided not to send the divisions, a clear indication that Pakistan was working towards the Non-Aligned Movement (NAM). The United States began work on a policy to keep Pakistan impartial, and India on the other hand, remained a keystone to bringing stability in South Asia. By June and July 1951, Pakistan's relations with U.S. deteriorated further, with Nehru visiting the United States, pressuring Pakistan to recall her troops from Kashmir. Khan's authorization of aggressive policies towards India, escalating to another war, had the U.S. worried. [self-published source] In an official meeting with Commander-in-Chief of the Army General Ayub Khan, Khan famously said: "I am sick and tired of these alarms and excursions. Let's fight it out!". Following the Abadan Crisis, the U.S. began to pressure Khan to persuade Iran to transfer control of its oil fields to the United States., which Khan refused to do. The U.S. threatened to cut off economic support to Pakistan and to annul the secret pact on Kashmir with India. After hearing this from the U.S. Ambassador Avra Warren, Khan's mood was much more aggressive, and he reportedly said: "Pakistan has annexed half of Kashmir without American support and would be able to take the other half too". Khan also demanded U.S. evacuate its military bases in Pakistan. In a declassified document, Khan's statements and aggressive mood were a "bombshell" for President Truman's presidency and for U.S. foreign policy. In 1950, President Truman requested Khan to provide a military base for the Central Intelligence Agency to keep an eye on Soviet Union, which Khan hesitated and later refused to do, prompting the U.S. to begin planning to remove him from the country's politics once and for all. The documents also point out that the U.S. reportedly hired the Pashtun assassins, promising the Afghan pashtuns to established the single state of Pashtunistan in 1952. Prime minister Khan began to developed tighter relations with the Soviet Union, China, Poland, and Iran under its Premier Mohammed Mossadegh as well. Khan sent invitations to Stalin and the Polish Communist leader Władysław Gomułka to visit the country. However, the visits never happened after Khan was assassinated and Stalin died. In 1948, Pakistan established relations with the Soviet Union, and an agreement was announced a month later. The offing of U.S. trade had frustrated Khan, therefore, Khan sent career Foreign service officer Jamsheed Marker as Pakistan Ambassador to the Soviet Union, a few months later, a Soviet Ambassador arrived in Pakistan, with her large staff and accompanied military attaches. In 1950, Ali Khan established relations with China by sending his ambassador, making Pakistan to become first Muslim country to established relations with China, a move which further dismayed the United States. While in Iran, Liaquat Ali Khan talked to the Soviet Ambassador and Moscow promptly extended an invitation to him to visit the Soviet Union. After the 1947 war and the Balochistan conflict, Ali Khan's ability to run the country was put in doubt and great questions were raised by the communists and socialists active in the country. In 1947–48 period, Ali Khan-Jinnah relations was contentious, and the senior military leadership and Jinnah himself became critical of Khan's government. In his last months, Jinnah came to believe that his prime minister Khan was a weak prime minister —highly ambitious— and not loyal to Jinnah and his vision in his dying days. The death of Jinnah was announced in 1948, as a new cabinet was also re-established. Ali Khan faced the problem of religious minorities during late 1949 and early 1950, and observers feared that India and Pakistan were about to fight their second war in the first three years of their independence. At this time, Ali Khan met Indian Prime Minister Jawaharlal Nehru to sign the Liaquat-Nehru Pact in 1950. The pact was an effort to improve relations and reduce tension between India and Pakistan, and to protect the religious minorities on both sides of the border. Prime Minister Liaquat Ali Khan did not take over the office of Governor-General, instead appointing Khawaja Nazimuddin, a Bengali statesman from East-Pakistan. When Jinnah died, he had held three major positions: Governor-General; President of Muslim League; and the Constituent Assembly of which he served both its President and legal adviser. Although Ali Khan was a legislator and lawyer, he lacked Jinnah's political stature. Differences and problems also leveled up with the Pakistan Armed Forces, and a local and native section of Pakistan Army was completely hostile towards Ali Khan's diplomatic approach with India. The existence of high level opposition was revealed in the Rawalpindi conspiracy, sponsored by Chief of General Staff Major-General Akbar Khan, and headed by communist leader Faiz Ahmad Faiz. Another difference came when Khan also intensified policies to make the country a parliamentary democracy and federal republic. During his tenure, Khan supervised the promulgation of the October Objectives in 1949 which passed by the Constituent Assembly. The document was aimed as an Islamic, democratic and federal constitution and government. Disagreement existed about the approach and methods to realize these aims. The third major difference was itself in the Muslim League, the party had weak political structure with no public base ground or support. Its activities reveled in high factionalism, low commitment to resolve public problems, corruption and incompetency of planning social and economics programmes. In East Pakistan, Ali Khan's lack of attention for the development of the Bengali section of the state brought about a bad juncture for the prime minister and his party, where its ideology was vague. In terms of its political base, it was both weak and narrow, and could not compete in West-Pakistan as well as in East-Pakistan where traditional families were endowed with enormous political power. In West Pakistan, the Muslim League failed to compete against the socialists, and in East Pakistan the communists. Ali Khan's relation with General Sir Douglas Gracey deteriorated, prompting General Gracy to take a retirement soon after the conflict. In January 1951, Ali Khan approved the appointment of General Ayub Khan as the first native Commander-in-Chief of the Pakistan Army after General Gracey retired. During this time the socialists gained a significant amount of support, therefore, a secret mission was planned by senior military leaders under the auspicious of prominent socialists, to overthrow the government of Ali Khan. The media reported the involvement of Chief of General Staff Major-General Akbar Khan and the Marxist-Socialist Faiz Ahmad Faiz, leading the coup. The Military Police launched massive arrests inside the military services, more than 14 officers were charged for plotting the coup. The Rawalpindi Conspiracy, as it became known, was the first attempted coup in Pakistan's history. The arrested conspirators were tried in secret and given lengthy jail sentences. On 16 October 1951, Khan was shot twice in the chest while he was addressing a gathering of 100,000 at Company Bagh (Company Gardens), Rawalpindi.. The police immediately shot the presumed murderer who was later identified as professional assassin Said Akbar.. Khan was rushed to a hospital and given a blood transfusion, but he succumbed to his injuries. Said Akbar Babrak was an Afghan national from the Pashtun Zadran tribe. He was known to the police prior to the assassination of Liaquat Ali Khan. The exact motive behind the assassination has never been fully revealed and a lot of speculation exists about it. An Urdu daily published in Bhopal, India, saw the US hand behind the assassination. Upon his death, Khan was given the honorific title of "Shaheed-e-Millat", or "Martyr of the Nation". He is buried at Mazar-e-Quaid, the mausoleum built for Jinnah in Karachi. The Municipal Park, where he was assassinated, was renamed Liaquat Bagh (Bagh means Garden) in his honor. It is the same location where ex-Prime Minister Benazir Bhutto was assassinated in 2007. He is Pakistan's longest serving Prime Minister spending 1,524 days in power, a record which has stood for 63 years to the present. His legacy was built up as a man who was the "martyr for democracy in the newly founded country. Many in Pakistan saw him as a man who sacrificed his life to preserve the parliamentary system of government. After his death, his wife remained an influential figure in the Pakistani foreign service, and was also the Governor of Sindh Province in the 1970s. Liaquat Ali Khan's assassination remains an unsolved mystery, and all traces leading to the conspirator were removed. Popularly, he is known as Quaid-i-Millat (Leader of the Nation) and Shaheed-i-Millat (Martyr of Nation), by his supporters. His assassination was a first political murder of any civilian leader in Pakistan, and Liaqat Ali Khan is remembered fondly by most Pakistanis. In an editorial written by Daily Jang, the media summed up that "his name will remain shining forever on the horizon of Pakistan". 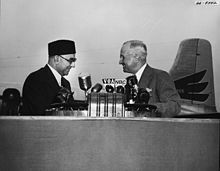 In Pakistan, Liaquat Ali Khan is regarded as Jinnah's "right hand man" and heir apparent, though Jinnah once had said. His role in filling in the vacuum created by Jinnah's death is seen as decisive in tackling critical problems during Pakistan's fledgling years and in devising measures for the consolidation of Pakistan. [dead link] After his death, the government of Pakistan released a commemorative stamp and his face is printed on postage stamps across the country. Liaquat National Library, country's largest library and open-source library, named after him. The Daily Times, leading English language newspaper, held Liaquat Ali Khan responsible for mixing religion and politics, pointing out that "Liaquat Ali Khan had no constituency in the country, his hometown was left behind in India. Bengalis were a majority in the newly created state of Pakistan and this was a painful reality for him". According to the Daily Times', Liaquat Ali Khan and his legal team restrained from writing down the constitution, the reason was simple. The Bengali demographic majority would have been granted political power and, Liaquat Ali Khan would have been sent out of the prime minister's office. The Secularists also held him responsible for promoting the Right-wing political forces controlling the country in the name of Islam and further politicized the Islam, despite its true nature. Others argue that Khan had wanted Pakistan to remain neutral in the Cold War, as declared three days after Pakistan's independence when he declared that Pakistan would take no sides in the conflict of ideologies between the nations. Former serviceman Shahid M. Amin has argued that the Soviets themselves could not settle convenient dates for a visit, and that, even during his visit to the United States, Liaquat had declared his intention to visit the Soviet Union. Amin also notes that "Failure to visit a country in response to its invitations has hardly ever become the cause of long-term estrangement. In Pakistan alone, many documentaries, stage dramas and television dramas have been produced to enlightened Liaqat Ali Khan's struggle. Internationally, Liaquat Ali Khan's character was portrayed by Pakistan's stage actor Yousuf "Shakeel" Kamal in the 1998 film Jinnah. ^ a b Suleri, Ziauddin Ahmad (1990). Shaheed-e-Millat Liaquat Ali Khan, builder of Pakistan. The University of Michigan: Royal Book Co. p. 69. ^ a b c d Mughal, Prof Dr M Yakub. "A worthy successor to the Quaid". Prof Dr M Yakub Mughal (Professor of Political History at University of Punjab). Professor Dr. M. Yakub Mughal, professor of Political History. Archived from the original on 21 January 2012. Retrieved 27 January 2012. ^ a b Story of Pakistan. "Liaquat Ali Khan [1896–1951]". Story of Pakistan (PART I). Archived from the original on 5 February 2012. Retrieved 27 January 2012. ^ Roger D. Long (2004). Dear Mr. Jinnah. University of Michigan (Original): Oxford University Press, 2004. p. 328. ISBN 978-0-19-597709-7. ^ a b Story of Pakistan: A Multimedia Journey. "Story of Pakistan: Liaquat Ali Khan". Story of Pakistan: A Multimedia Journey. Story of Pakistan: A Multimedia Journey. Archived from the original on 4 November 2011. Retrieved 27 January 2012. ^ name="Story of Pakistan (PART I)"
^ Ikram, Nikhat (1992). "§Chapter 15: Liaqat Ali Khan (1895-1951)". In Ikram, Dr. S. M. (ed.). Great Muslims of undivided India (google books). New Delhi, India: Gyan Publishing House. p. 505. ISBN 9788178357560. Retrieved 9 February 2018. ^ Rahman, Syedur (2010). "§Liaquat Ali Khan (1895-1951)". Historical Dictionary of Bangladesh (google books). New Delhi, India: Scarecrow Press. p. 183. ISBN 9780810874534. Retrieved 9 February 2018. ^ Shah, Mehtab Ali (1997). The Foreign Policy of Pakistan: Ethnic Impacts on Diplomacy 1971-1994. I.B. TAURUS. p. 51. ISBN 978-1860641695. ^ Lethbridge, Sir Roper (2001) . The Golden Book of India, a genealogical and biographical dictionary of the ruling princes, chiefs, nobles, and other personages, titled or decorated, of the Indian empire (republished). London: Macmillian. p. 38. ISBN 978-1402193286. ^ Loritimer, George Gordon (1915). Gazetteer of the Persian Gulf, ʻOmān, and Central Arabia, Volume 1, Part 1, Issue 1. Gregg. p. 164. The Nawab belongs to a Marhal family of Jats, who were converted to Islam in the troublous days of Shah Alam. One of them, named Mohamdi Khan, was in the service of the Marathas as a commander of cavalry, and obtained from them the grant of the pargmzas of Shoron, Charthawal, and Muzafiarnagar. ^ Aziz, A (1986). Pakistan from crisis to crisis, Volume 1. Karachi: Royal book co. pp. 237–244. Marhal Nawab of Karnal, Ahmad Ali Khan, from the very first (break of Mutiny) day of Mutiny in 1857, placed himself and his resources unreservedly at our disposal. ^ a b c d e f g h i Liaquat Ali Khan: A worthy successor to the Quaid, Prof Dr M Yakub Mughal Archived 31 December 2007 at the Wayback Machine, The News International Special Edition. Retrieved on 31 December 2006. ^ Kapur, Manavi (22 August 2015). "Is half of Muzaffarnagar the private property of four residents?". Business Standard India. Retrieved 30 September 2017. ^ "Former Pak PMs Liaquat Ali Khans bungalow discovered in Muzaffarnagar, UP govt wants it as tourist destination". Retrieved 30 September 2017. ^ "Liaquat Ali Khan [1895–1951]". Archived from the original on 5 February 2012. Retrieved 16 October 2006. ^ a b c d e f g h Ziauddin Ahmad, (1990). Liaquat Ali Khan, builder of Pakistan. Michigan, U.S.: Royal Book Co., 1990. p. 340. ^ a b Story of Pakistan Press. "Liaquat Ali Khan (Part II)". Story of Pakistan. Directorate-Press of the Story of Pakistan. Archived from the original on 5 February 2012. Retrieved 30 January 2012. ^ a b c d e f g h i Ikram, S.M. (1992). Indian Muslims and Partition of India. New Delhi: Atlantic Publisher and Distributors. p. 432. ^ a b c "Liaquat Ali Khan [1895–1951]: Political career". Archived from the original on 18 November 2006. Retrieved 16 October 2006. ^ "India: Muslim separation". Not known. Unknown. Retrieved 30 January 2012. ^ a b Ziauddin Ahmad (1970). Liaquat Ali Khan, leader and statesman. Islamabad, Pakistan: Oriental Academy, 1970. ^ Admin (6 February 2019). "Who took Oath from Prime Minister Liaquat Ali Khan?". Only MCQs. Retrieved 21 April 2019. ^ a b c d e f g h Kazmi, Muhammad Raza (2003). Liaquat Ali Khan: his life and work. United Kingdom: Oxford University Press, 2003. p. 354. ISBN 978-0-19-579788-6. ^ a b c d e f Bhatnagar, Arun (20 November 2011). "A leaf from history: Pioneers in science". The Dawn Newspapers. Retrieved 30 January 2012. ^ a b c d e Country study. "Pakistan: Problems at Independence". April 1994. United States Government. Retrieved 30 January 2012. ^ "Liaquat Ali Khan: The Prime minister 2, Story of Pakistan". Archived from the original on 11 May 2006. Retrieved 16 October 2006. ^ a b c Story of Pakistan Press. "Objectives Resolution is passed ". Story of Pakistan Foundation. Press Directorate of the Story of Pakistan, Constitutional history. Archived from the original on 19 December 2010. Retrieved 30 January 2012. ^ Tan, Tai Yung (2000). Th Aftermath of South Asia after Partition. United Kingdom: Curran Publications Services. p. 296. ISBN 0-415-17297-7. ^ "Pakistan at fifty-five: From Jinnah to Musharraf" (PDF). Archived from the original (PDF) on 7 February 2007. Retrieved 25 January 2007. ^ a b c d e f g h i j k l m n o p q r s t u Kapur, Ashok (1991). Pakistan in crises. United States: Routeledge Publications. pp. 1–10, 24–50. ISBN 0-203-19287-7. ^ "RESOLUTION 47 (1948) ON THE INDIA-PAKISTAN QUESTION". Archived from the original on 18 February 2007. Retrieved 25 January 2007. ^ a b c Lacey, Michael James (1991). The Truman Presidency. Cambridge University Press. p. 358. ISBN 0-521-40773-7. ^ a b c d e f g h Zaidi, Syed Mohammad Zulqarnain. "The Assassination of Prime minister Liaquat Ali Khan: The Fateful Journey" (PDF). Syed Mohammad Zulqarnain Ziad. Syed Mohammad Zulqarnain Ziad. Retrieved 31 January 2012. ^ a b c d e f g h Shahid M. Aminv, (Former Pakistan Ambassador to Soviet Union) (17 October 2010). "The foreign policy of Liaquat Ali Khan". The Dawn Newspaper, 17 October 2010. Retrieved 31 January 2012. ^ Pakistan in Crisis§ Introduction. pages 1–10. ^ "P Liaquat – Nehru Pact". Archived from the original on 4 April 2009. Retrieved 25 January 2007. ^ "Unexplained assassinations". The Express Tribune. 27 December 2010. Retrieved 24 November 2018. ^ a b "Liaquat Bagh adds to its gory history". Dawn. 28 December 2007. Retrieved 24 November 2018. ^ "Leading News Resource of Pakistan". Daily Times. Retrieved 1 May 2010. ^ Ahmed, Ashfaq (7 July 2009). "Key moment for Pakistan". Gulfnews. Archived from the original on 7 July 2009. Retrieved 18 July 2009. ^ Husain, Syed (18 July 2006). "Declassified Papers Shed Light on US Role in Liaquat's Murder". Arab News. ^ "The Assassination of the prime minister of Pakistan". Retrieved 16 October 2006. ^ "Doctor relives father's fate after Bhutto attack". Reuters. 30 December 2007. Retrieved 18 July 2009. ^ Gilani loses record of longest-serving Pakistan PM. Dawn.Com (2012-06-19). Retrieved on 2013-08-03. ^ a b c d Shahid, Riaz (15 February 2010). "Reassessing Liaquat Ali Khan's role". The Daily Times. Retrieved 31 January 2012. ^ New York Times 18 August 1947, cited by S.M. Burke, pg. 147. ^ "Jinnah (1998)". Retrieved 25 January 2007. Suleri, Ziauddin Ahmad (1990). Shaheed-e-Millat Liaquat Ali Khan, builder of Pakistan. Karachi: Royal Book Co (1990). ISBN 978-969-407-112-1. Kazmi, Muhammad Raza (1997). Liaquat Ali Khan and the freedom movement. Lahore: Pakistan Study Centre. ASIN B0006FBFSA. Wolpert, Stanley (2005). Dear Mr. Jinnah': Selected Correspondence and Speeches of Liaquat Ali Khan, 1937 – 1947. United Kingdom: Oxford University Press. ISBN 978-0-19-597709-7. Hay, Stephen (1988). Sources of Indian Tradition: Modern India and Pakistan. United States: Columbia University Press. ISBN 0-231-06415-2. Jone, Owen Bennett (2002). Pakistan: An eye of storm. Yale University, U.S.: Yale University Press. ISBN 978-0-300-09760-3. Wikimedia Commons has media related to Liaquat Ali Khan. Pictures of Liaquat Ali Khan's Visit to the USA—type Pakistan in the search bar.